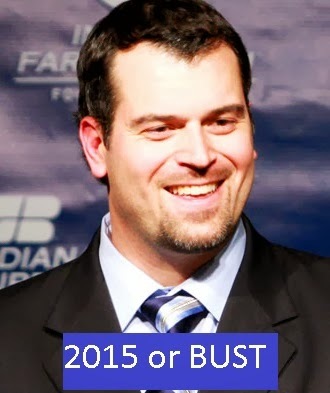 I have to admit that I've been a little puzzled by some of the moves made by Jim Irsay and Ryan Grigson since the latter came in as GM prior to last season. But recently I think I figured it all out. This a long article which requires some reading, but there is a big payoff for the patient - we're pulling the cover off of the internal workings and plans of Colts management. Now there have been a lot of other transactions, which is to be expected when you are bringing in a new GM and coaching staff - especially with the radical change in philosophy on both sides of the ball. So why do I single these transactions out? Basically, for the last twenty years or so, there has been a consistent template that teams with new management have followed when taking over a bad team: clean house, trade valuable players for picks, drop salary, acquire lots of draft picks to acquire young players with upside who fit your new system, and acquire an inexpensive veteran or two to provide leadership and mentoring to all these young players. This is the template the Colts followed in 1998, as have many other teams between now and then. So, why aren't we doing that now? The answer is that Colts Management feels that if we don't win a championship with Andrew Luck in the next three years, we won't win one at all. That is a pretty strong statement to say the least, but I think I can back it up. Virtually everyone who follows football expected Wayne to move on to greener pastures after the terrible 2011 season. He was linked to New England, as well as other winning franchises with established quarterbacks. 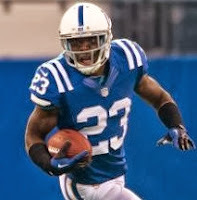 When we re-signed him to a three year contract (with the accompanying criticism), it was widely assumed that the intention was to mentor both Andrew Luck and the young wide receivers we were to acquire in the 2012 draft. This, while surprising, was not that curious - other than at the same time we were aggressively cutting salary by releasing other veteran players. This one surprised everyone, and it was the first indication to me that something strange was going on. Acquiring Davis via trade for our 2nd round pick flew in the face of any traditional rebuilding strategy. The first issue was giving up a 2nd, the next was the idea of bringing a potentially disgruntled player into a young and impressionable locker room. Rebuilding teams just don't make these kinds of trades. This was the sort of thing that good teams do to plug a hole. The assumption being that you are bringing in a player who is talented, but has had troubles, into a solid locker room where he can learn how to conduct himself by the examples of the veteran leaders. The only way this trade made sense at the time was that Grigson was convinced that the Colts could very quickly become a playoff team. That's the only reason you give up a high draft pick to plug a hole. Another strange decision for a rebuilding team. Ok, we went to the playoffs in 2012, so maybe we weren't rebuilding. Still, it's rare for a team with a new regime to be signing veterans with no upside to plug holes. And clearly Grigson had Cherilus targeted, signing Cherilus on the first day of free agency for a bit more money than the NFL media expected. Again, a strange decision for a young team. 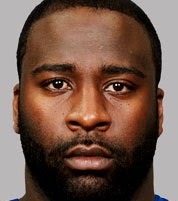 Landry went to the Pro Bowl for the lowly Jets in 2012. 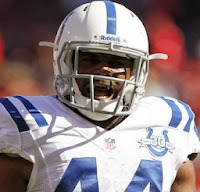 The Colts already had Pro Bowler Antoine Bethea at one safety spot, and I think most people would have expected them to draft a young player to groom for the other safety spot. I mean with Davis, Bethea, Butler, and some other holdovers, the Colts looked to have a pretty good secondary. It seemed like a natural that they would build through the draft. Instead they conclusively plugged a hole with a Pro Bowler. 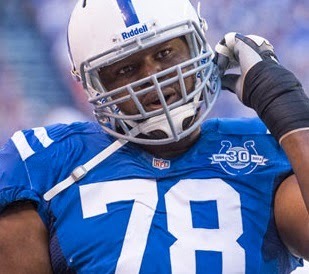 This is the one that the NFL media (you know, those "experts" who can't get a job actually contributing in the NFL) and Colts fans point to as a Ryan Grigson "mistake." Well, from my POV, Walden has been very good at what he was brought in to do: Be a rugged edge setter at strong outside linebacker. Setting the edge - you heard that mentioned by multiple members of the Colts coaches and management on the day of the signing. I think every time they said that, they were firing a shot at the departed Jerry Hughes, our strong outside linebacker from 2012. Now for a young team, this is not that surprising a move. But this is the sort of signing that you make after the big money has been spent in free agency. Clearly Grigson and his staff were convinced that Walden was exactly what they needed, and they took no chances that they'd lose him by targeting him for immediate signing on the first day of free agency. From what I have seen from him so far (aside from a mental error here and there), he has been exactly what we wanted. But the timing and the amount of the signing were most unusual. Another strange pickup. 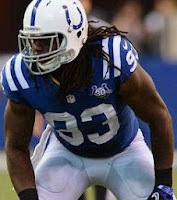 Toler was known in league circles as a top-flight talent at CB, but he had been constantly injured and had not really shown anything thus far in his career. So, what was this about? Another move that only makes sense if you are a contending team and just need to plug a hole. 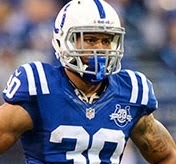 Toler was a gamble, but when healthy, he gives us a 2nd physical specimen at CB, when paired with Vontae Davis. His play this year has been a little uneven, but he has made some really nice plays against both the run and the pass. If he gets a little more consistent we'll have two pro bowl talents at CB, combined with two former pro bowlers at safety. Clearly we were shooting for the moon with this signing. At minimum this gives defensive coordinator Greg Manusky the ability to blitz; knowing that he has two physical bump and run cornerbacks and a quality nickle CB (Darius Butler) to harass receivers. Another quick fix. Jean-Francois was a quality backup for the Super Bowl San Francisco 49ers, and he was signed to start opposite Cory Redding at defensive end. This guy was more of a normal signing: a 26 year old quality backup on a powerhouse team. He really was only a curious signing in that this was still not building through the draft - where you may be able to get the same production out of a cheaper player. The point is may. Clearly the Colts weren't interested in taking that gamble. This signing was also curious when considering that they also ended up signing Aubrayo Franklin six days later (more on him next). Considering they had just signed Jean-Francois, signing a 33 year old cast off from San Diego seemed a little strange - especially as this was still during the big money period of free agency. 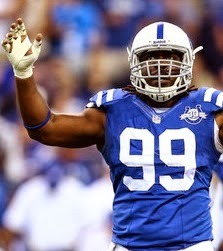 A slightly undersized nose tackle at 6'1", 317 lbs, he is clearly a stop-gap veteran plug in. Sound familiar? Another move that does not fit the typical young team template. The Colts signed Bradshaw late in the pre-season, perhaps delayed due to the health and healing of his foot injury, and perhaps due to the players in camp not being what Grigson and Pagano wanted. Either way, young teams building through the draft do not bring in 27 year old running backs with an injury history. And there is still the question of whether he was brought in to start or not. We'll never know now with Vick Ballard going down for the season before Bradshaw was totally up to speed. Again, whether he was intended to be the eventual starter or just a high-quality backup, this is a move normally made by a championship contender to decisively plug a hole. Boom, take that. By trading our 2014 first rounder to Cleveland, this was our announcement to the rest of the league that patience was not our watch-word. This is a building the monster right now type move. 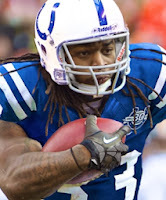 In Trent Richardson, we now have a large, bruising running back that is the ideal fit for Pagano's vision and Pep Hamilton's offense. Cleveland Browns GM Michael Lombardi (no relation to Mark Lombardi, abstract painter known for his network diagrams of crime and conspiracy), has been on record numerous times (during his time as a paid pundit for NFL Network and The National Football Post) as minimizing the importance of the running back in today's NFL; actually poking fun at teams like the 49ers for building a team around a strong running game. And lookie what he was handed upon taking the job with the Browns: a high priced running back. Anyone who knows Lombardi would not surprised that he would trade away a young talented back like Richardson. And anyone who knows Lombardi would not be surprised at his willingness to make an extremely unpopular move . . . cough cough Kosar cough cough . . . Sorry, having a Breaking Bad moment, but without the mad cash. Anyways, that a team like the Colts being the trade partner - and during the season no less! Shocking. This was a move that says: We are winning this year or next. Period. A trade like this during the season only makes sense if you are unwilling to compromise your year after an injury like the one that ended Vick Ballard's season. Rumblings are that Cleveland initiated the talks, but even then - this was a big deal. Now these ratings are based on the template that other young, rebuilding teams have followed. But when you view each move as part of a win now approach, each makes perfect sense and is not curious at all. I mean you have either 11 out of 11 or 10 out of 11 acquisitions for players projected to start for your team in a two year period - when you are supposed to be rebuilding. Unheard of. So, why the hurry anyways? 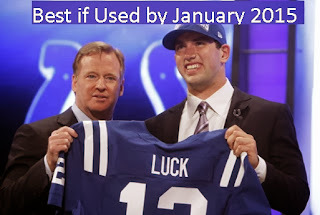 If Luck plays fifteen years, surely there is plenty of time - Right? Wrong: The Colts have a three year window to win the Super Bowl with Luck. Because that's when his economical rookie contract ends after the 2015 season. That is when resigning him will necessitate (due to the salary cap) changing the entire structure of the team, just like what the Colts did to good (but not great) success after Manning's rookie contract expired. This is where the Giants, Patriots, Ravens, Packers, and Saints are right now. 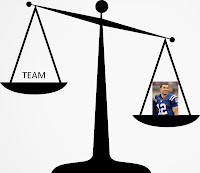 Once you have a massive contract for your QB which might easily take upwards of 20% or more of your entire salary cap, you can no longer expect to be able to afford a veteran heavy team with pro-bowlers all over the place. 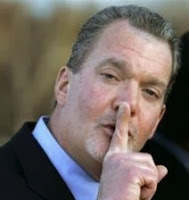 Irsay had a front row seat to a string of Colts teams that got weaker each successive year. Manning covered up a LOT of holes, thus hiding the decline of our overall talent, evidenced by our complete collapse in 2011 when he was injured. Irsay knows that everything is setting up that same situation starting in 2016 - which will be the first year of Luck's next contract. whole bag of "sh!" with your name on it. Real contract: $17.5 million over three years, no huge cut-inducing ballon payments. Clearly this is a contract the Colts intended to be completed. Contract ends after the 2014 season. Real contract: Reasonable rookie contract, ends after the 2014 season. Real contract: With a the first balloon payment coming before the 2015 season, probably ends after the 2014 season. Real contract: No balloon payments, ends after the 2016 season. Real contract: A couple of high payments that may result in him being cut, but not too high. Contact ends after the 2016 season. Real contract: One year, stop-gap contract. Ends after 2013 season. Real contract: Reasonable rookie contract, ends after the 2016 season. So, basically, every player that the Colts have acquired has a contract that will effectively end after the 2016 season - right when they will need to shovel cash into Andrew Luck's deserving pockets. Who wants to bet me that any free agents they may sign next year will have contracts that effectively expire after the 2016 season? Anyone? I see this as a pretty big deal. Basically the Colts seem to think that they must win before the 2016 season ends; despite the fact that Luck will then presumably be entering the prime of his career. This is a pretty damming statement on the current way the NFL is structured financially. Is it possible to win the Super Bowl nowadays while carrying a high-dollar Quarterback? Sound off in the comments . . . I think your logic is really sound. However I disagree that they feel "they must win before the 2016 season ends" as though that is the last shot possible. They just have the foresight to plan ahead knowing the pay structure of the team will change then. Very smart move to take advantage of that cap space while it exists. I also think it is very possible to win with a monster QB contract (Packers, Broncos, Patriots, Saints), but not if that monster contract is Joe Flacco.